Akin Gump is consistently ranked as one of the top government relations practices in Washington, D.C.—both by publications and peers—the public law and policy practice draws on the considerable governmental and bipartisan political experience of their lawyers and advocacy professionals, including former Members of Congress, congressional staff and other lawyers with considerable experience in government service, many of whom also engage in outside political activities. The explosive growth of government regulation and oversight over the last decade demands that Linking the World thinks expansively and creatively when developing and implementing our strategies. The nature of our work requires that our analytical and planning processes must encompass a careful evaluation of how government—local, state, federal or international—can, should and will impact our desired objectives. We are proud and privileged for Akin's support on a pro-bono basis. 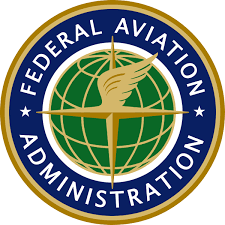 As an example of the support Akin Gump provides to Linking the World, the firm petitioned the FAA for our Section 333 Exemption, which qualifies us to fly UAVs in domestic airspace in support of disaster operations. Linking the World was the first international NGO to receive such an exemption. Mina Chang on Geospatial Intelligence in Proactive Development GEOINT 2018 Keynote Speaker Read the article here: http://trajectorymagazine.com/marshaling-data-for-the-greater-good/ The annual GEOINT Symposium is the nation's largest gathering of industry, academia, and government to include Defense, Intelligence and Homeland Security Communities as well as commercial, Fed/Civil, State and Local geospatial intelligence stakeholders. Interview discussion about violent extremism and how foreign affairs affect us in the United States with Mary Sit. The Global Outlook is an award-winning public affairs show featuring community leaders, authors to ballet dancers, and other guests who contribute and make a difference in the world. The Future of War Conference 2017 Washington, D.C. The Future of War Conference 2017 commenced on March 21 in Washington, D.C. The event will featured leaders from government, military, journalism, academia, and the private sector exploring questions of international security and defense, bringing together interdisciplinary experts working to develop new paradigms for understanding and addressing the changing nature of armed conflict and systematic violence. "One of the great mysteries of life for me has always been the question of ‘why bad things happen to great people?‘ Surely, I’m never one to question the work of God, still when I see the obstacles he puts in the path of someone like, Mina Chang, I become even more convinced that each such challenge is a window into a bigger opportunity. When Mina was diagnosed with brain cancer earlier this year, it was a horrifying tragedy, but one that’s destined to magnify the impact she’s having — Linking The World. In the third People Issue for the Observer Magazine, Linking the World CEO Mina Chang was named as one of the 'People of the Year.' Editor Joe Tone introduces the issue writing, "Their stories, as usual, are paired with intimate portraits, this year from acclaimed photographer Can Turkyilmaz. Featured in the issue are notable community leaders such as Police Chief David Brown, NHL athlete Jamie Benn, and Historian Bonnie Jacobs." Linking the World CEO, Mina Chang, was invited as the keynote speaker for the Women's Leadership Series at the Brown Foundation Performing Arts Theatre. Buzz Aldrin, the second man to walk on the moon, was also in attendance. The Women’s Leadership Steering Committee is chaired by Dr Anne Chao and Paula W Hinton. The next installment in the series will feature Cherie Blair, the former First Lady of the United Kingdom.